Already have your website up and running, but need some time to finalize your content? Inform your visitors with a simple, clean landing page from The Agile Artist. Nothing puts off a potential customer more than an unexpected surprise. And that’s exactly what happens when they click on a link and land on a half-finished page or a website with outdated information. Your customers expect to find what they’re looking for in real-time, and if your page isn’t ready yet, a customized placeholder page is the next best option. 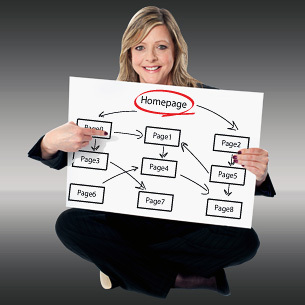 The Agile Artist develops custom, temporary pages that let your visitors know that your final page is being prepared. And with an integrated sign-up form, you can collect the email addresses of potential customers to bring them back to your site when the page is ready, or simply to use them for follow-up campaigns and e-mail marketing. •	A purchased domain address and web hosting — Don’t have these? No problem! Let The Agile Artist help with the Website Hosting Package. You’ll be up and running in no time! •	Log-in details for your WordPress website (if applicable) — Want a WordPress website, but don’t have WordPress installed? Don’t worry! The Agile Artist has you covered with WordPress Security – Peace of Mind. Get started with WordPress today!